The world offers us lessons that we can choose to either grasp tightly or hold onto loosely. Some define us, while others might be mistakenly overlooked. Over the last couple of years, I realized that my younger, free spirited, high energy and above all, smiling self was just a dream. The truth is I wasn’t all that happy. I was tired of being looked at, laughed at and examined that I felt stuck to a magnet. No matter how badly I wanted to deny it, my overall childhood reality felt negative. I didn’t see the light at the end of the tunnel like everybody said I would. I waited and wished for a miracle to happen. But, what I didn’t realize is that waiting and wishing wouldn’t get me very far. You can wait as long as you want, but it takes actions and a voice to make your wishes come true. As I became a teenager, I finally figured out that my hesitation to participate in sports and other activities was due to my own fear of failure. Naturally, I was concerned that other kids would judge me for having different hands and feet. Anything I wanted to do seemed impossible and I struggled to find the will to keep trying. But the last thing I wanted was to live a life filled with pessimism and frustration. I couldn’t accept defeat and instead resolved to find the strength and support for a new approach. Anything and everything that had seemed impossible became a new opportunity for me to test my courage and determination. There was something about surfing that I was drawn to, either from books, movies or websites. I finally found something I was excited about and was willing to accept the fear of failure in order to achieve it. While that spark urged me to move forward, I never and still do not really understand why I gravitated towards surfing. Maybe it’s because the ocean is like my second home, where like my first, I feel safe and comfortable to be me and not someone else. 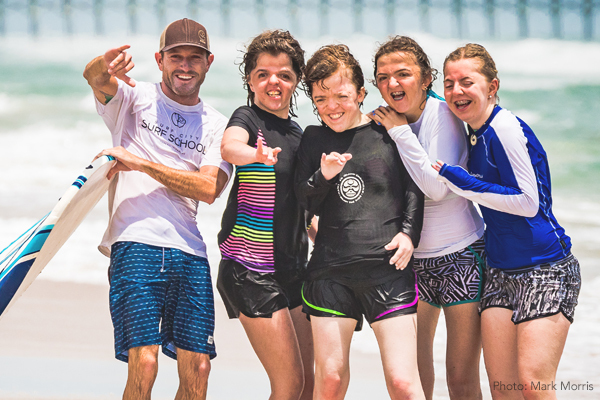 Surfing is also one of the few sports that most people, even those without disabilities, are too scared to try. And in many ways, that made it even more of a personal challenge for me to achieve. After much research, preparation and a two hour lesson that led to many wipeouts, I finally pulled off a seventeen second ride. Yes, just seventeen seconds of video captured in perpetuity on my Mom’s iPhone. With the relentless support of my instructor, I did it! I felt the doubts and fears of everyone watching immediately vanish. Jaws dropped and all I could hear was the whistling and cheering from my parents and my surf instructor. It was a truly awesome and memorable experience. I felt so proud of what I had accomplished and knew that this was only the beginning for me. Fast forward to present day. I love my life and everything about it. My friends are in my life because I chose them. Friends are one of the very few options that you can control, so choose carefully. Their support has given me the confidence to reflect on my childhood and realize that the magnet blocking my happiness was my own fear. 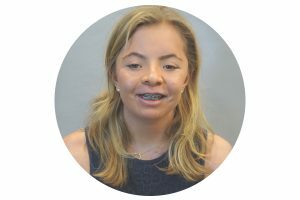 I had let the classmates who judged me for my disabilities influence my self esteem. 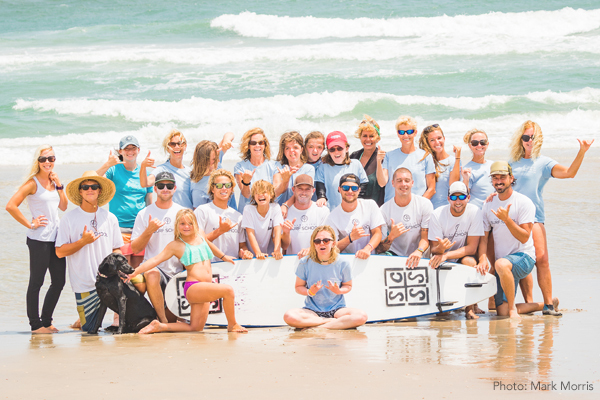 Since that seventeen second ride, and with the help of many new found friends, I co-founded Cowabunga Surf Retreat in Surf City, NC. 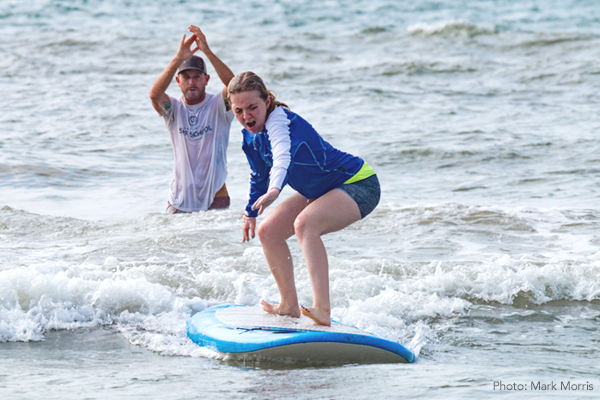 My hope was to share the same exhilaration I had getting up on that surfboard with other teens with disabilities. I wanted them to feel the ocean’s positive energy and experience the thrill of riding a wave for the first time. Our camp has now been around for two Summers and I can proudly say that each Summer has been filled with kids willing to work hard for their dreams and fight through their challenges. Through this experience, they have learned to shed their negativity and rise above the hurtful stares and laughs. But most importantly, these kids are now able to embrace their disability as part of who they are, but not all that they are. I now realize I have a mission to help others learn what I have learned and do what surfers do best – throw up the shaka, yell words of exhilaration and have a great time doing whatever makes you smile. I believe that we all have something special within us. We can’t let our fears and setbacks control the way we want to live. We are the ultimate rulers of our future. My lasting wish is that all children with craniofacial conditions or disabilities find the strength to fight for their dreams and live outside their comfort zone. Be happy with who you are because you only get to live your life once. Why waste it? Stay tuned for her next video! 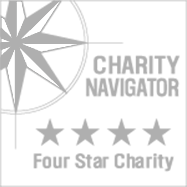 To contact Sara please email her at s.pollak@aol.com.